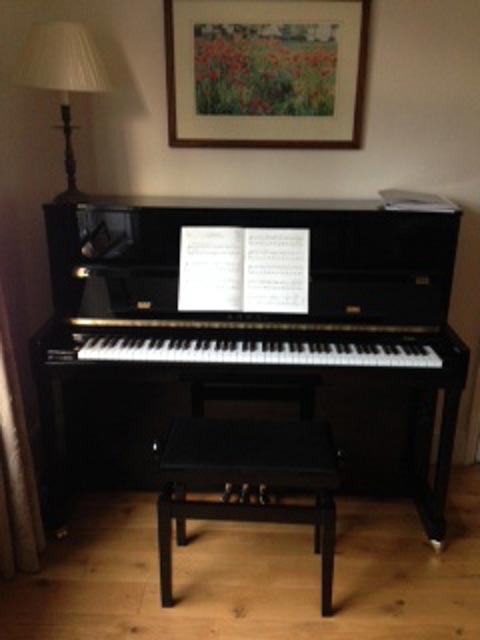 We are absolutely delighted with our new Kawai K300 upright which we bought from Ben recently The whole experience and service from start to finish has been totally first class. At our initial appointment with Ben, he spent time explaining the range of pianos and also demonstrated how they sounded and compared. He was very patient and really took the time to understand our needs rather than being ‘sales pushy’ and trying to sell us the most expensive piano. The delivery was very professional and they even took away our old decrepit piano at the same time. We’re thrilled with it. It’s also very reassuring to know that if we have any questions or issues in the future then Ben is just on the end of the phone. I cannot recommend Ben Wheeler Pianos highly enough. Many thanks!